Specially Designed Airflow Channel: The Coral 2 is specially designed with a channel that directs the airflow to the coil, presenting a great vaping experience with huge clouds and enhanced flavor. Changeable to be a Regular RDA: The Coral 2 can be transformed from a Squonker RDA to a regular RDA simply by replacing its bottom pin. 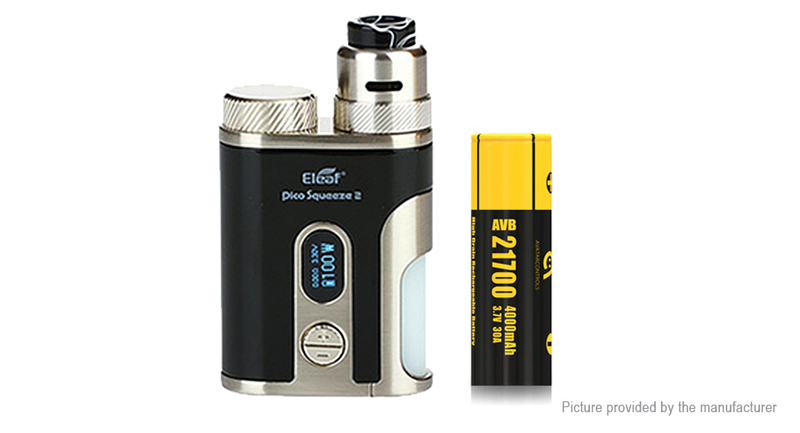 Accepting Single 18650 / 21700: Powered by single 21700 or 18650 battery, the Pico Squeeze 2 provides adjustable wattage and can fire up to 100 watts.